When it comes to choosing a footwear, it's never a "grab-and-go" affair for us as there are many factors to consider before deciding on one pair. Comfort is the top priority for DinoPapa as he is on his feet almost the whole day, nothing too pointy or constricting at the toe box area, the sole must be wooden instead of rubber (you know how our soles break when we squat down too often? Wooden soles have lesser chance of that happening) and no fanciful designs for him. Both DinoBoy and myself has broad or wide feet (How do you know that you have broad feet? If you try on most of the shoes and your toes feels tight, chances are you have broad feet) most of the shoes we see in the mall and stores are on the slim side thus unable to accommodate our feet. Like most parents who are concerned with our children's well being. Knowing that DinoBoy's little feet is on the wider side, we took extra care to choose the best shoes for him. It was easy when he was a baby and toddler because most of the shoes for that age are made with softer soles and wider toe box. It gets a little bit challenging when he's older, we have to resort to purchasing his shoes from overseas, where shipping usually cost quite a fair bit, but for his comfort and the development of his feet, we did not think twice about spending that kind of money. Why did we put in so much money and effort in choosing a good shoes for ourselves? A footwear that probably last us a year the most, and for DinoBoy it will be lesser since his feet will be growing constantly till he's older. The reason is fairly simply. A shoe may fit us length wise but if it hurt your feet at your toe, you won't be able to walk with your natural movement or stride. This can lead to quite a few problems such as ingrown toenails, blisters, corns and calluses or some thing more serious such as crooked toes, inflamed nerves, pain in the ball of the foot and in some serious cases it can lead to arthritis too. So it pays to treat our feet well by giving it a good pair of comfortable shoes because they carry our entire body's weight most of our life time. 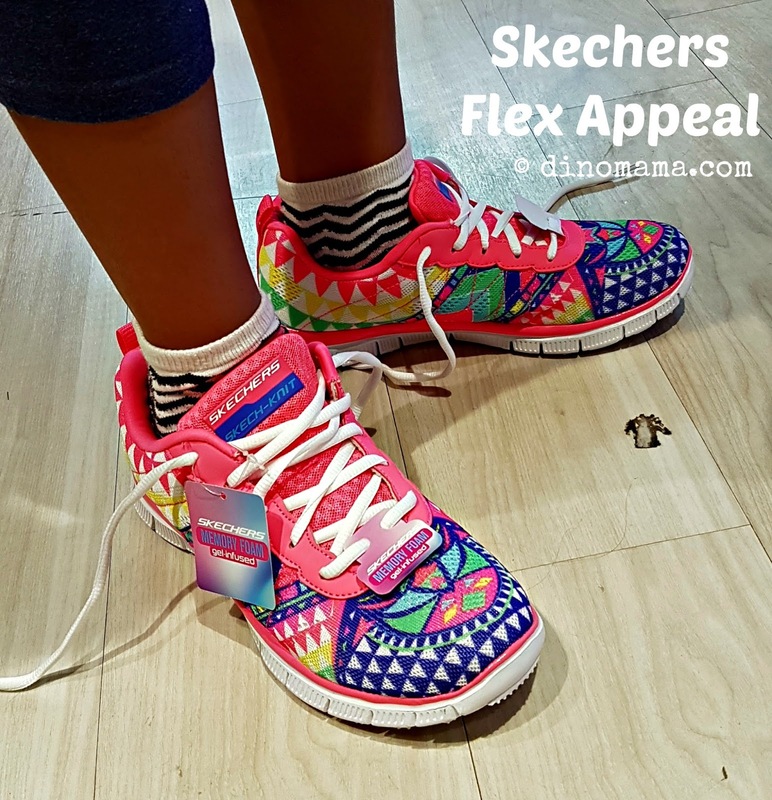 Even though DinoBoy has limited choices for shoe brands locally, one of the trusty brand we love is Skechers, a brand that constantly have trending shoes that has won many awards for shoes performance and designs. With their GoRun, GoWalk, Performance, On the Go, Relaxed Fit, Sports, WorkShoes series, they practically have shoes for every lifestyles and occasions. Other than added stability, support and comfort, the shoes are light weight too but that does not compromise on the it's performance. With its Memory Foam technology found on the insole which seems to mould onto your feet, hugging the contours of your feet and provide a perfect fit to your feet. Do you know that you can throw your Skechers shoes into the washing machine to clean? This year per DinoBoy's request, our goal for 2016 is to take part in as many run and walk as possible. We went for our first family run in March 2016 and did not stop from there. In the midst of these healthy activities DinoBoy outgrew his pair of running shoes, we did not think twice and headed off to Skechers store nearby (click here to check store locations) and got him a pair of Skechers GoRun shoes. Later, we were very lucky to have Skechers sponsoring us a pair of shoes each for the NTUC Fairprice Walks with U in May 2016. These Skechers GoWalk shoes are so comfortable, the GOmat Technology with high-rebound cushioning and GO Pillars shock absorbing means a lot of weight and pressure are taken off our feet and "transferred" onto the shoes. We wore them when we are out on weekends, recently we spent a whole day at Pulau Ubin in these shoes and our feet are... well, Happy Feet! Even though he has 2 new pairs of Skechers shoes, he still hangs on to his Ben10 slipper which kinda just fit his feet nicely, thank goodness he is only wearing it to our weekly trips to the swimming pool for his lesson. Last week I jumped up with joy when he finally relented and agreed to let us bring him to Skechers to get a new pair of sandals. Woohoo! Someone's feet finally outgrew his slipper and is ubber happy to get a new pair of #SkechersRelix sandals. He couldn't decide to get grey or black, made the shop assistant walked to the store to get the shoes a few times. I didn't get his name but I like to say this to him "Thank you for being patient with my boy!" #dinomama #sporemombloggers @skecherssg #skecherssg #skechers #kidsfashion #kidsshoes #notsponsored. Shape Run 2016 will be happening this Sunday 24 July 2016 at Bayfront Marina, we are taking part in the 1.8km Fun Run Category. Skechers has graciously sponsored us with their running shoes for this event again, here's what we will be wearing for the run. And DinoBoy just HAVE TO show off his stylo-milo Skechers Boy's ERUPTERS II Sneakers, watch the video and you will know why. With these shoes we are ready to take on Shape Run 2016 and add it into our list of run for this year. If you have not decided what running shoes to get for Shape Run 2016 (if you are taking part) or for you daily jogging/running routine, do consider Skechers GoRun series shoes. 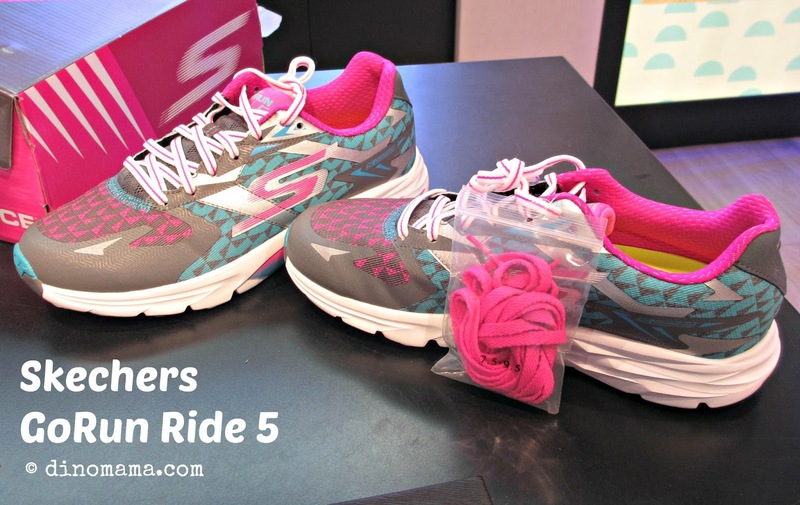 Read about our great shopping experience at Skechers Waterway Point outlet over here. 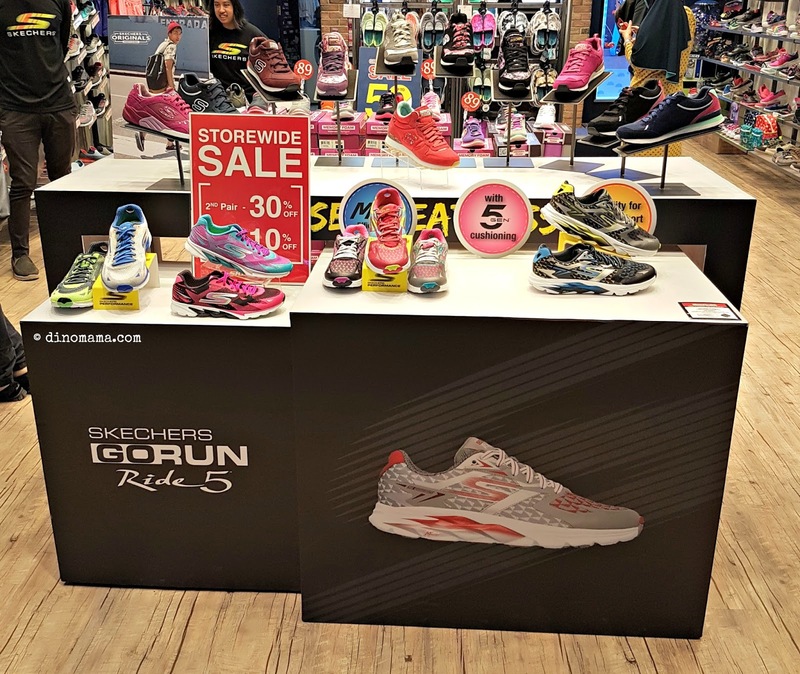 Disclaimer : We received complimentary shoes from Skechers for the purpose of this blog post and another one on SHAPE Run 2016, no other compensation was received. All opinion in this post are 100% ours, all photos in this post belongs to the DinoFamily, you may not use them for your own purpose without seeking our permission.